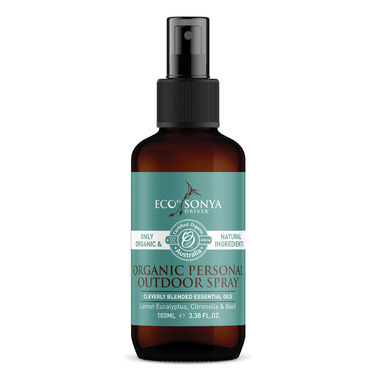 Personal Outdoor Spray is a delicious smelling, uplifting and refreshing organic body spray and room spray. The spray is a clever blend of essential oils and organic ingredients including lemon eucalyptus, citronella, basil, lemongrass and cedarwood. Eliminate undesirable smells and replace them with the soothing scents of nature, no matter where you are.